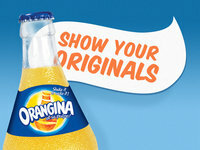 This year, Orangina is celebrating its 75th anniversary. 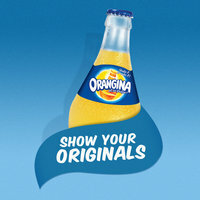 As Orangina has been ‘Original by Nature’ ever since the first day of its existence, the brand created for this occasion ‘Show Your Originals’ – a Facebook application that shows you your very own Originals. Facebook has been around since 2004, and there’s a good chance that you forgot who first interacted with you on Facebook! Facebook recently rolled out a new feature that shows what users were doing exactly one year ago. Orangina is taking this one step further by letting their fans find their very first contacts! Thanks to ‘Show Your Originals’, you can now discover your Originals at the touch of a button. The application creates a list of your top 10 Facebook friends who gave you your first likes, posts and comments, sorted by date. As a souvenir, you can save a picture of these friends in your photo album, so your friends can also see if they made it into your top 10 Originals! The campaign will be launched in Europe, Asia and Africa enabling Orangina fans all over the world to discover their Originals and get back in touch with old friends. Orangina is part of the Orangina Schweppes Group, the third-largest player in the European carbonated soft drinks market. Orangina Schweppes Group has a portfolio of 22 well-diversified brands, among which 6 core historical brands (Schweppes, Orangina, Oasis, Trina, Pulco and La Casera). For this campaign, Orangina teamed up with KONG Amsterdam, Refunk and Super Social.